Photos from yard sales in Florida. In Florida they are called yard sales or garage sales. In Florida they are called Yard Sales or Garage Sales. 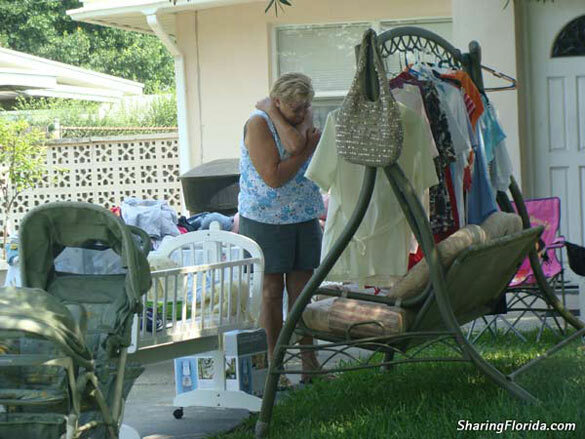 Someday Floridians will use the term Tag Sale. Typical things you can get in a Florida YARD SALE: beach chairs, stuffed animals from Claw Machines, dolphin nick nacks, things with palm trees on them, and Mickey Mouse items.